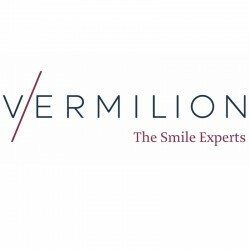 Vermilion - The Smile Experts is a private dental clinic in Edinburgh offering a wide range of advanced dental treatments. Patients are referred by their general dental practitioner. At Vermilion, patients can expect clinical excellence and outstanding service at all times. The dental surgeries are modern and bright, and supplied with all the latest dental technologies. Dental treatments offered include dental implants, All-on-4, periodontics, endodontics, orthodontics, restorative dentistry and oral surgery.